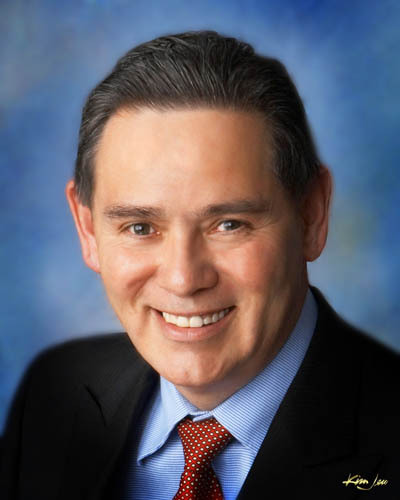 Ken Sanchez is serving his fourth term as Albuquerque City Councilor for District 1 and has served as Council President in 2010, 2014, and 2018. Councilor Sanchez also served the city by working toward a balanced and responsible budget as Committee of the Whole Chairman in 2006, 2008, 2009, and 2011. He was also appointed Chair of the Finance and Government Committee in 2012. Councilor Sanchez was unanimously elected Chair of the Albuquerque/Bernalillo Water Utility Authority in 2012. Councilor Sanchez also had the honor of serving the public as Bernalillo County Commissioner from 1995-2002. Councilor Sanchez has lived on Albuquerque’s West Side for more than 40 years. He operates the Gilbert Sanchez Tax Accounting Firm on West Central Avenue and is an enrolled agent to practice before the Internal Revenue Service. Councilor Sanchez is also the president of Ken Sanchez & Associates Realty. Councilor Ken Sanchez is committed to improving the lives of Albuquerque’s Westside residents and the city as a whole. He continues to work with the residents of the city and the Albuquerque Police Department to address the needs of Public Safety. Among his many efforts, he continues to work with the community, the City Council, the previous and current Mayor, other elected officials, and local businesses to bring much needed economic retail development to the Westside. He continues working to bring more jobs and places for people to shop near their homes on the Westside. Councilor Sanchez and the community have worked on a number of projects that include; the new fire station 7 that improves service to the growing community, the full service Patrick J. Baca library, the UNMH Clinic, Transit Center, and the proposed mixed-use site that will include housing, retail, and offices at the NW corner of Central and Unser. He has also worked with Westside residents, Legislators, and the Library Board for a number of improvements at the Taylor Ranch Library. Councilor Sanchez also worked with the community and other elected officials to open the new Joan Jones Community Center at Pat Hurley Park, the renovated West Mesa Community Center, and continues to work with Councilor Peña to open the new Westgate Community Center. Councilor Sanchez has worked tirelessly for beautification and driver/pedestrian safety on the Westside. This has included median landscaping and traffic calming measures on Unser, Ladera, and a number of residential streets in District 1. He recognizes the need for improved infrastructure, working with the residents of the SW and NW, our State Legislators and other elected officials for the expansion of Unser Blvd south to Senator Dennis Chavez and north to Paradise Blvd, as well as having obtained funding to extend 98th Street south to Senator Dennis Chavez Blvd. which now better serves the students that attend Atrisco Heritage Academy and the residents of the far SW communities. Councilor Sanchez has also worked to improve Unser, north of I-40 to add lanes to handle the increased traffic of the Westside, He and the Westside Legislators also worked to fund additional lanes on I-40 westbound to the exits of Unser Blvd and 98th/Arroyo Vista Blvd to help the Westside commuters’ ease off the freeway. Councilor Sanchez continues to work with the DOT and the Westside Legislators for the flow of traffic on Coors Blvd and the timing of the signals, through the Automated Traffic Performance Measure System. Councilor Sanchez funded the first zip line at the Santa Fe Village Park. He and the community have also had the honor of celebrating a number of Park openings in the community and continue to work infrastructure needs as well as recreational needs and desires. Please see other projects and photos under Celebrated and Current Projects.